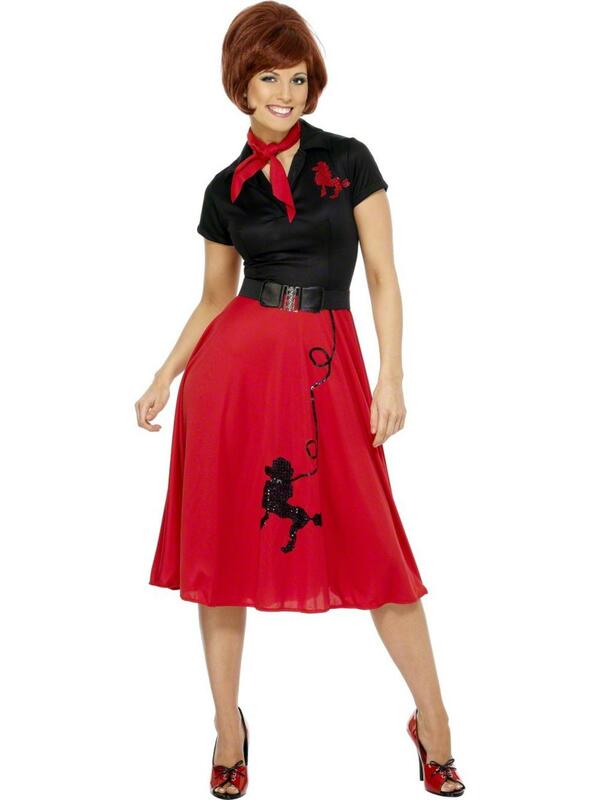 Twist the night away and jive in style with this gorgeous Ladies' Red Rockin 50s fancy dress costume. Great for a Grease fancy dress costume idea. Included is an authentic looking rock n roll dress with a silk effect black top styled with the iconic 50s sparkly poodle design to the chest and an attached red circle skirt with corresponding design. Completing this fifties fancy dress is a red neck scarf and a black elasticated belt. 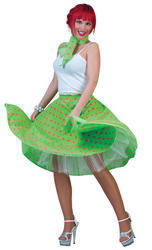 Have all eyes on you at any 50s or Rock n Roll themed fancy dress party.